When Mark Land, PE, CFM, Vice President of Snyder & Associates began working at Snyder & Associates he knew he was in the right place. Ankeny employees with five years of tenure. With over 25 years at Snyder & Associates, Land attributes the firm’s rich culture and longstanding values for its continued success. A variety of events and social activities including an annual golf outing, company picnic, and holiday party, support a family atmosphere with opportunities to form lasting friendships. 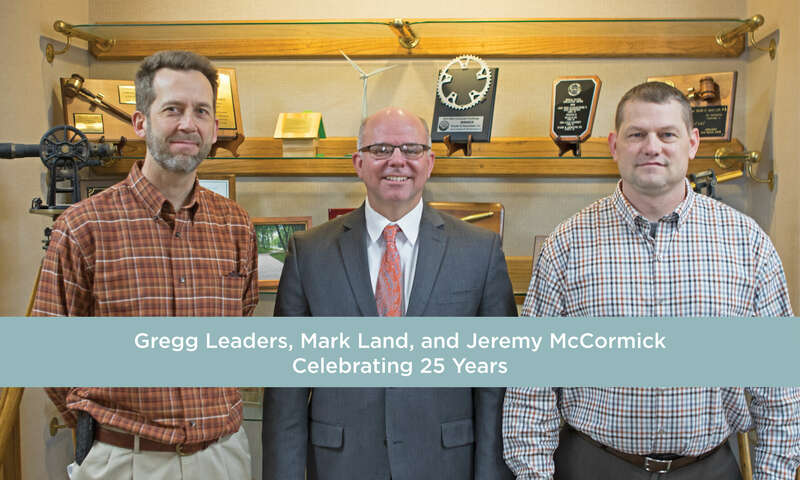 During the firm’s 25th anniversary in 2002, an annual employee recognition event was born that honors employees for their service and volunteer community involvement in five-year increments. As of January 1, 101 employees—approximately 40 percent of the entire staff—have 10 or more years of tenure. Chris Petersen (5 years tenure) and Mike Jorgensen (20 years tenure) of our Atlantic office. During this year’s annual employee recognition event, 37 employees were honored. Those with five years of tenure received a plaque, while employees with 10, 15, and 25 years of service receiving a marker to add to their five-year plaques. 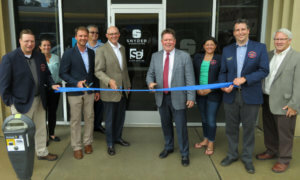 “This event is a fun opportunity to hang out with our team and build comradery while recognizing the work everybody has done to help the company be successful,” shares Megan Derby, Engineering Technician at Snyder & Associates’ Council Bluffs location. So what do employees enjoy and why do they stay? 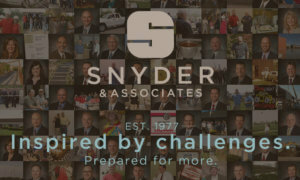 What makes Snyder & Associates a great place to work? Here’s what some of this year’s honorees shared. Megan Archer (5 years tenure), Steve Kunz (20 years tenure), and Chad Hinze (5 years tenure) of Shuck-Britson, located in Des Moines.